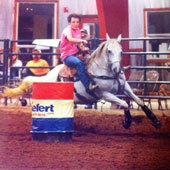 The Extreme Barrel Racer is for the barrel racer who likes to feel their horse with close leg contact. 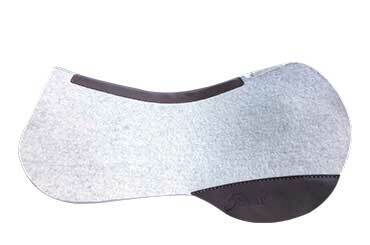 This style pad is designed to allow the most contact between the riders leg and the horse while giving the same great 5 Star protection to the horse’s back. 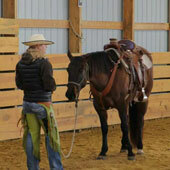 The Extreme Barrel Racer has very little extra material around the perimeter of the saddle, making the pad lightweight. When horse and rider move as one and seconds count, rely on this light weight, extreme cut barrel pad to connect with your horse while protecting your horse’s back. 5 Star uses high quality real leather for the basic, stamped, hair on and printed wear leathers. Due to the nature of leather, variances in color, pattern and style can occur with each hide. The swatches and photos of our wear leathers are only a close representation of the actual leather. We cannot guarantee the cut of our patterned leathers as no two will be the same. If you have any questions or concerns, call us at 870-389-6328 prior to ordering. Your custom product is ready to order. Click the 'add to cart' button. I have two Five Star pads that I purchased for my barrel horse Popcorn. 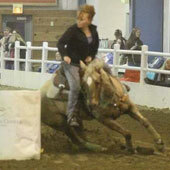 My old hand me down barrel saddle didn't fit correctly and he was sore in his back. 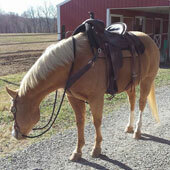 The pad I purchased fixed the problem with my old saddle and made him very comfortable! They are beautifully made and very durable. Love my 5 stars!! My saddles fit so much better with the 5 stars than any other pads! They last forever the one in the photo is 10 years old and is just starting to show its wear n tear! I'd love a replacement! I LOVE (& highly recommend) my 5 star pad because they do not slip & are easily adjusted under a saddle. With the wither relief & contoured top line I know I can count on the perfect fit. 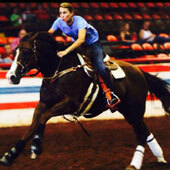 I can ride with it in the show pen, a trail ride, or use in training with EASY cleaning just a few times a year.